Reich-Ash Co., 1931, originally uploaded by Gatochy. Click image for 681 x 883 size. Scanned from Taschen's "All-American Ads of the 30s". 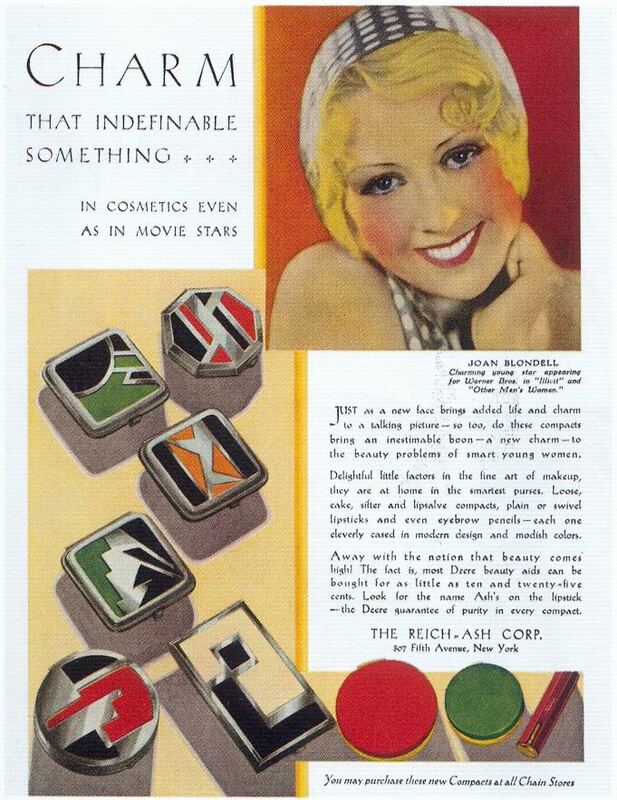 Joan Blondell was a wonderful actress! Truly a glamorous character. Perfect for a make up ad. I love those old magazine fonts too.